If you enjoy shopping at outlet malls and you are in Orlando then you do no was to miss going to the Orlando Vineland Premium Outlets. Located minutes from Walt Disney World, shoppers will find a good mix of stores including an impressive selection of upscale designer outlet stores along with many popular manufacturers and retail outlets that offer everyday savings of up to 65 percent off. With over 140 stores to shop, everyone is bound to find a deal. Armani Outlet, Bottega Veneta, Burberry, Diane Von Furstenberg Outlet, Nike, Prada, Saks Fifth Avenue OFF 5TH, Tory Burch and Tommy Hilfiger. Monday - Saturday: 10a.m. - 11p.m. Heading South on International Drive, past Sea World right at light into Vineland Village (Vineland Avenue). From I-4 Westbound: Exit 68 (Rte. 535). Left at light onto Route 535, left at next light onto Vineland Ave. at Little Lake Bryan; continue one mile. From I-4 Eastbound: Exit 68 (old 27). Proceed straight across light at end of ramp onto Vineland Avenue; continue one mile. Orlando Vineland Premium Outlets has a full calendar of scheduled mall events throughout the year. Key holidays like Memorial Day Weekend, July 4th, Back-to-School the first week in August, Labor Day, Columbus Day and Veterans Day are a good to time to visit the outlet mall for deep discounts and special in-store promotions. One of most popular sale events at the outlet center is the After Thanksgiving Weekend Sale featuring Midnight Madness. To help plan the best time to bargain shop, visit the outlets "About" webpage or Facebook page which gets updated with extended holiday shopping hours. You can also browse the individual outlet stores' current promotions and sales by visiting the Orlando Vineland Premium Outlets "Deals" webpage. 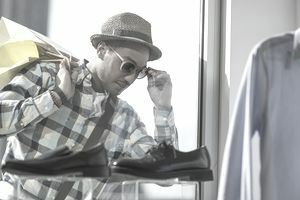 Since the outlet mall is fairly large, shoppers find that seeing which stores are offering the best deals helps them prioritize their shopping trip. Get Orlando Vineland Premium Outlets coupons and exclusive discounts by joining the​ VIP Shopper Club. It is open to all shoppers regardless of how often you shop or how much you spend. First-time visitors, travelers, and frequent shoppers can sign up and take advantage of the extra savings. Registration is quick and free. VIP members are allowed access to an exclusive coupons page based on which "Favorite Locations" are selected during registration. It is not unusual to find several 30 percent off outlet store coupons. To sign up visit the VIP webpage. Every Wednesday Florida residents receive special savings at participating retailers. Plus, receive an exclusive discount at Tommy Hilfiger when you park in valet. Visit Simon Guest Services located in the Food Court or Promenade to receive your special Florida Resident savings. Valid identification is required. Members of the military, veterans and their families can show their IDs at Simon Guest Services all year long to receive a free Savings Passport. Another way to receive coupons for the outlet stores is by shopping with a group. At arrival groups of 10 or more will receive a complimentary VIP Coupon Book filled with hundreds of dollars in coupons for added savings and special offers at participating outlet stores. If you plan on staying at a hotel in Orlando, be sure to check and see if it is offering an Orlando Vineland Premium Outlets package. Several nearby hotels offer $50 to $100 gift cards to the outlet mall. For store phone numbers or store locations at the outlet visit the Orlando Vineland Premium Outlets website.